Play this winter @ SoFive Soccer Complex! Take advantage of our new partnership with SoFive Soccer Center in Brooklyn, NY. Book your time slot now and take advantage of the great discounts below. 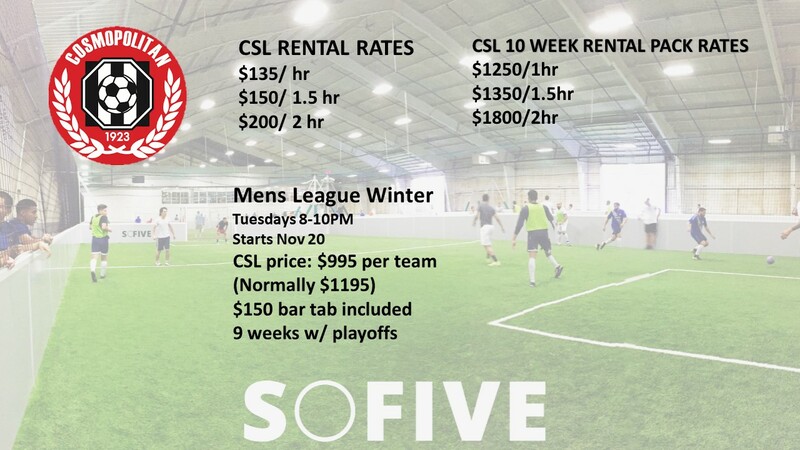 SoFive will be hosting our 2019 CSL WInter Indoor Tournament. For any questions call Eric Stalsburg at 347-745-7544.